An awful lot of Republicans are weenies because their parents likely trained them to be polite, considerate and to be respectful of other’s opinions. They follow the rules of civility. And, because conflict is generally associated with impolite behavior, a lot of folks in the GOP just think it should be avoided. This is especially true when it comes to the gun issue and frankly, politics in general. 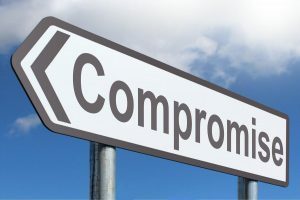 We’ve been taught that compromise is a good thing, because it’s “considerate” and therefore the best way to handle political conflict, but let’s be real. It’s the first step in losing everything. It happens in California all the time and it’s happening right before our eyes in Washington D.C. – the Senate Judiciary Committee is capitulating to the demands of a bunch of left-wing nuts, and it’s all under the guise of being “fair-minded” – never mind that allegations stem from recovered memories and uncorroborated statements. Who does that? Of course, we are talking about charges levied against Supreme Court nominee Brett Kavanaugh, and we question why Senate Republicans are bending over backward for his accuser. Is it to let “everyone” know that they are being “fair-minded?” Because they are nice people? Because they think they are being honorable in the face of controversy? This is not honor. It borders on stupidity. It demonstrates how dim many of them are when it comes to the left. It doesn’t take that many brain cells to figure out the Democrats’ game of delay was designed to send the Republicans on an endless trail of “whack-a-mole” with the absurd allegations against Kavanaugh. If Senate leadership understood that they can be confrontational without being nasty, maybe they wouldn’t be stuck playing softball on a hardball field. GOC believes that confrontation is necessary and crucial as we wage against our adversaries, yet personal integrity must remain a foundational ethic of our organization. There is nothing wrong with being formidable. Or fierce. Or intense. “Reaching across the aisle” to smooth political feathers is not the answer. Here’s a news flash: they will NEVER LIKE US. No one with an IQ above room temperature should surrender an inch of ground when on the verge of getting someone on the Supreme Court that will defend the Constitution and the 2nd Amendment. You keep moving until you secure your objective. There is no backing down – especially when presented with decades old, unproven events. Sadly, this is equally true when it comes to the politics of guns. Just this week, Tom Knighton of Bearing Arms published a piece Shooting Ourselves In The Foot On Gun Rights. His article highlighted a similar post by Luis Valdes of the Truth About Guns, which is aptly titled Gun Control Advances Because We Are Our Own Worst Enemy. Both hit the nail on the head – we have a tendency to compromise and give up our ground for a number of reasons – sometimes because it’s just too uncomfortable to fight back, and sometimes because it doesn’t directly impact us. Both put us on a dangerous and very slippery slope. Valdes writes “Many gun owners are only concerned with laws and regulation if they’re directly affected. They don’t care about others’ civil rights, as long as theirs aren’t impacted. This is a stark lesson for anyone elected to office and the visual of the cooking frog should be front and center for all of us. This is how the left works, which is why we must continue to move forward. Retreating is not an option. GOC is proud to have been fiercely “no compromise” since 1975 and we believe that confrontation is necessary and crucial as we wage against our adversaries, yet personal integrity must remain a foundational ethic of our organization.